Traveling on Election Day? We’ve Got You Covered! As Election Day 2016 approaches, another important event is coming up this November as well: the annual Fall Summit hosted by the American Academy of Estate Planning Attorneys, Inc. The Fall Summit is a semi-annual event for the Academy, providing an opportunity for both learning and relationship building among members and VIP guests. With more than 40 hours of engaging and informative coursework, the Summit provides continuing legal education for attorneys plus the chance to learn about practice building and marketing. Connecting with peers, allies, and friends is also a prime focus during this widely attended event. This year, attendees will find the Summit draws to a close right before Election Day. Since the Summit runs from November 2 through November 7, attorneys who travel to the event may not be in their home states and able to head to their polling places on voting day. This does not mean you have to miss the chance to vote in this historic election. Absentee ballots are available in all 50 states so you can make your voice heard, even if you have to mail in your vote. While the process of obtaining an absentee ballot is different in each state, there is one commonality: the process is easy! Google has a page that provides instructions and requirements for every single state in the U.S., so you can find out both whether you are eligible and what you need to do to vote while away from home. In some states, like California, anyone who is registered to vote is allowed to vote absentee. In others, like Alabama, you can vote by mail only if you are not in the county where you are registered to vote or are otherwise unable to get to the polls as a result of a disability or a long shift on Election Day. 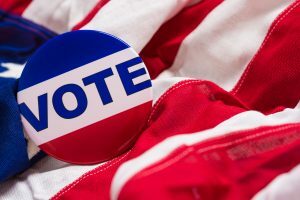 You can find out if you are eligible and what your state’s rules are for absentee voting by referring to the Google guide and selecting your state. For those who are eligible, you can generally obtain an absentee ballot by requesting one on the internet and either having it mailed to you or by printing it out on your home computer and sending it in. There are deadlines for sending in the forms, so it is best to act as early as possible. If you want to shortcut the process, you can visit Vote.org and input your information, including details on where you are registered to vote. The process of requesting your absentee ballot on this site takes just two minutes, as the website will automatically pull up the rules and required forms for your state. While getting an absentee ballot is easy, you have to be a registered voter to vote absentee. Vote.org gives you a place to check if you are registered by putting in your name, address, and political party. If you find out you aren’t registered, you can take care of that on the same website. Voter registration deadlines vary by state, but again it is better not to delay if you want to make sure you get to weigh in on who will become the next U.S. president.